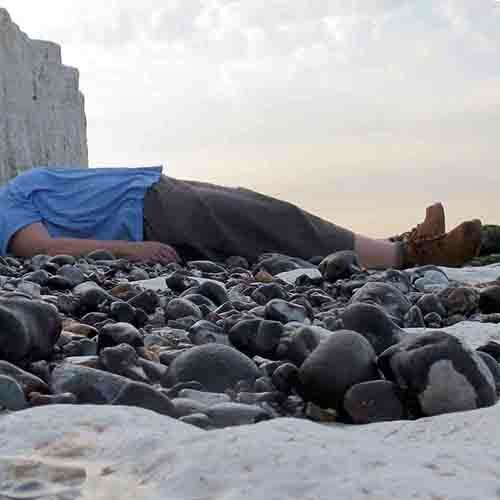 Video Installation: A performer is on the shore beneath the chalk cliffs at Birling Gap. Over three days she moves with the tides in an intensely physical dialogue, probing what emerges at the confluence of material bodies. The video document works to involve us as onlookers in the enquiry.